The question child passenger safety experts hear the most is "What is the best seat?" The answer isn't a specific brand or model, but this: The best seat is the one that fits your child, fits your car, fits your budget, and that you will use correctly every time. How do you get to that one? By knowing what you're looking for. This should get you started. What is an infant seat? An infant seat is a seat that ONLY faces the back of the car, designed to fit newborns up to about 20-22 lbs. Most are designed to be used as a car seat AND carrier, and have some type of handle to allow you to transport baby from car to restaurant, home, etc. For premature babies, a CARBED may be needed - check with your hospital, pediatrician or e-mail me for more information. Generally, an infant seat is placed in the vehicle at an incline of no more than 45 degrees to keep the baby's airway open. Many come with bases. They range in price from $30-150. An infant seat is generally chosen before the baby arrives. That makes it difficult to choose a seat that will fit someone you've never seen and may only have a vague idea of how big/little s/he will be. Babies come in all different shapes and sizes. Most of them prefer to remain in the "fetal" position for several weeks after birth, making it difficult to secure them in a car seat. When looking at all the different seats, there are several things you'll want to make sure they have to get the best fit for your child. The harness slots are the slits in the back of the seat where the harness straps come through. In an infant seat, the harness needs to come out of the seat AT or BELOW the baby's shoulders. Some seats only have one set of harness slots - this may be too high for a newborn and too high could mean inadequate protection. Although the five-point harness is MORE important when choosing a forward-facing seat, it is still a good idea to have in a rear-facing seat. As I mentioned before, many babies prefer to "curl" into the fetal position for many weeks following birth and it may be difficult to get the harness to properly fit the baby. A five-point harness has a strap going over each shoulder, one over each hip, and they connect to the strap coming between the legs. This gives a snugger fit, and keeps baby in the right place better. There have been cases where babies in three-point harnesses have actually "squirmed" out of position and come entirely out of the harness - this is not something you want to happen right before a crash! Many people don't take into account the fact that not every car seat fits in every car. Many vehicles have humps, sloped seats and buckle configurations that are completely INCOMPATIBLE with some car seats. Unfortunately, the only way to tell if a seat will fit is to try it out. Many baby specialty stores and places like Toys R Us/Babies R Us will allow the customer to leave a drivers license at the front desk and take seats out of the store to try them out in the car. When installing the seat, you need to be sure that it is locked into place. Check your car's owner's manual to find out how to lock your child restraint in. There should be less than 1 inch of movement side to side and from back to front. To check for seat movement, grab the seat where the seat belt threads through on either side and pull from side to side and from the back of the seat toward the front. Use gentle tugs - any forceful movement can dislodge even the tightest installation. A rear-facing seat will have normal movement back and forth and side to side at the TOP of the seat - this is the way it's designed to protect baby. Not everyone can afford the most expensive model and many don't even want it or can’t use it. And in the car seat industry, most expensive isn't always "best". When choosing an infant seat, you need to keep in mind that your child will be using this for probably less than a year. The infant seat is outgrown when the child either reaches the upper weight limit - usually 20 or 22 lbs - or the top of the child's head is less than one inch from the top of the seat shell. While you want a functional seat, you shouldn’t go all out on the infant seat and have nothing left over for a nice convertible, which your child will spend 3-4 years in. Make a list of options that you want and prioritize it, then go shopping. Find something that fits your needs but doesn't bankrupt you. Make sure the safety seat is less than 10 years old (preferably less than five) and has never been used in a crash, even a minor fender-bender. You can't be sure about the history of a used safety seat unless you got it from a friend or relative. You will need the detailed instruction booklet which can be ordered from the manufacturer if it is missing, to check that the safety seat has all of its parts and to find out how to use it correctly. Check for possible damage, such as cracks in the plastic, frayed straps, stiff buckles or harness adjusters. In crash tests, properly used seats tested slightly better without a base. HOWEVER, this does not mean you should run out and by a seat without a base. If you have a base, once it's installed, you're done. Simply latch the seat into the base every time and make sure it's latched in. If you don't, you will have to CORRECTLY install your car seat every time you want to go somewhere. While some car seat/vehicle combinations make this easy, most do not. You have to decide whether you really think you are going to be able to correctly install your seat every time. That includes all the times you're running late or just have to run to the store quickly. Even if you plan to leave your infant seat in the car all the time, a base may still be a better choice. A baseless seat installs with the seat belt over the top of the seat, so getting baby in if the seat is already buckled in can be difficult, meaning you will still have to re-install the seat for each ride. Most people don't know this, but the chest clip does not protect your child in a crash - it protects them BEFORE the crash. The clip is there to help keep the straps on the shoulders. If it is improperly placed over the stomach instead of at armpit level, it won't be doing its job and the straps may slip off baby's shoulders - something you don't want to happen just before somebody runs into you. For newborns, the type of chest clip doesn't matter. But as babies grow and mature, that may become a source of entertainment. The paperclip style of chest clip is permanently attached to the straps on one side, then the other strap slides under the clip and into the other side of the clip. There are several problems with this type: First, not many people thread it right – under the clip and into the notch – and that can keep it from functioning properly; second, the "tab" on the clip can get bent out of place with repeated use, making it difficult to get the clip to work at all; third, many babies find it very easy to push this type down out of place. The two-piece chest clip is permanently attached to each side of the harness and clips together in the middle after baby is in the seat. It tends to wear longer, and the style is more difficult for baby to push out of place. Handle designs differ. Many LOOK comfortable, but end up feeling awkward. Though it may be a little silly, I highly recommend taking along a 10 lb bag of sugar on the shopping trip, putting it in each seat you are thinking about and going for a short stroll. If you have to hold your arm out at an odd angle or find the carrier too heavy, you may want to keep looking for one that works better for you, especially if you'll be going lots of places. Also remember that the handle always has to be DOWN around the top of the seat, NOT over the baby, when in the car! Many bases now come with an adjustable "foot" to help you get the right angle of recline. For newborns, the seat should be about 45 degrees, but no more than that. For older babies, more upright is okay, as long as they have good head control. The thicker or wider the straps are, the less likely they are to twist. Twisted straps are a danger to your baby. Some seats come with an adjustable buckle position – closer to baby for newborns, farther toward the seat edge for older babies – that will help get a snug fit. Some seats come with, or fit into a "travel system". Although you may love the seat, the travel system may be hard to use. Many have very lousy steering control or are very bulky. Before purchasing a seat "just because" it fits on a stroller, check out other options. There are other options, including “car seat bars” that attach to many regular strollers, or several stroller "frames" that fit or adapt to most infant seats. Built-in locking clips - These eliminate the need for regular locking clips and are EASY to use. Level indicators - Some are little balls that must fall in a certain colored area. They can be incorrect if your vehicle is on a slope, so be sure you’re on a flat surface. Others are just a line on the seat that must be parallel to the floor of the car. These make it easier to get the correct angle when installing the seat. EPS foam - this stands for Expanded PolyStyrene foam – basically the same stuff in bicycle helmets – and can protect your child's head in a crash. Head cushion/support - Many people prefer to have these for their newborns, hoping that it'll help keep their child's head from flopping around. However, unless it comes with the seat, it isn't safe to use one. Only the ones that come in the seat have been crash tested and will not be a problem in a crash. If it doesn’t come in the seat, it can compress enough that your child could be ejected from the seat. If it is important for you to have this, look for a seat that is sold with the head support, which should match the fabric of the seat cushion. The other option is to use a rolled receiving blanket that does not go under baby or interfere with the straps at all. Extra Bases - Some seats that come with bases allow you to purchase extra bases from the manufacturer or retailer to use in other cars. If you use more than one vehicle on a regular basis, this may be a good thing to purchase. A Certified Child Passenger Safety Technician. Okay - it doesn't come with the seat, but I definitely recommend that you find one locally and ask for help in learning how to install and use your seat correctly. These technicians are TRAINED to know how to do this and can help you learn how to keep your baby as safe as you possibly can. And if you're thinking that you'll do fine by yourself, please read the following statistic: When interviewing a group of parents, 90% said they thought their seat was used correctly. ONLY 20% were! Finally, don't hesitate to ask for help. There are a lot of places online that offer help in selecting a seat for your child. If you find you can't make a decision, visit the car seat board to get started. Copyright © 2002 by Jennifer Matlock. All rights reserved. 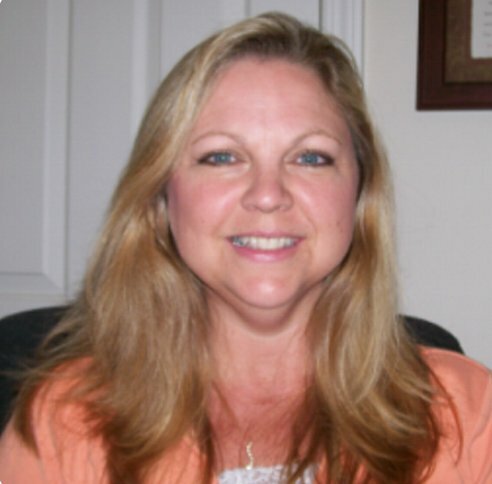 Jennifer is Certified Child Passenger Safety Technician with two small children. She volunteers her time for car seat check-ups and organizes community child passenger safety education programs. She also put together a child passenger safety website and works as an "internet resource" providing advice and help for car seat safety questions via e-mail and online bulletin boards.